Women and girls - including those who identify as women and non-binary individuals - are invited to register at www.processions.co.uk to take part in this once-in-a-lifetime living artwork which will celebrate a historic moment for gender equality and create a dramatic portrait of women in the 21st century. On 10th June 2018, participants in Cardiff will walk together in their tens of thousands. 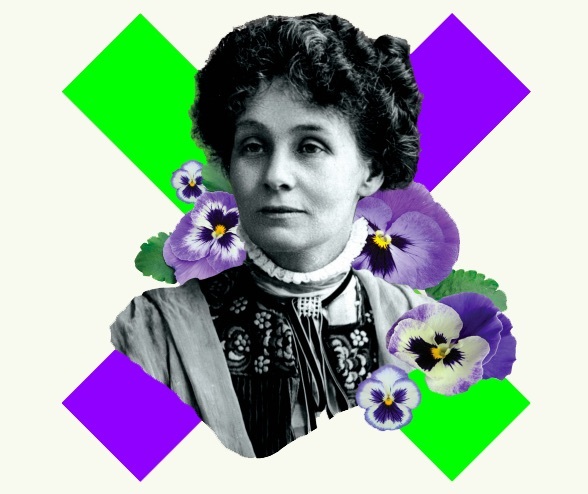 Given green, white or violet to wear, to represent the colours of the suffrage movement and standing for “Give Women Votes”, they will together appear as a vast river of colour flowing through the city streets. At the heart of PROCESSIONS Cardiff will be specially created banners, echoing those carried by suffrage campaigners. madeinroath, a community arts festival that aims to take art out of the gallery and into the community, is working with artist Jessica Akerman. For PROCESSIONS Cardiff Akerman will be conducting banner-making workshops with a mixed group from the madeinroath community which includes members of The Roath Appreciators Society, pupils from two local secondary schools, members of a local quilting group, The Mackintosh Community Gardens and a feminist zine group. Pip Tudor, CREATE Coordinator, said: “madeinroath feel very honoured to be one of the 100 organisations chosen to create a banner for PROCESSIONS. This centenary celebration shows us how far we have come but also highlights the challenges we still face in order to create a truly equal society for future generations. June 10th is going to be an incredibly inspiring day full of hope for our future while we commemorate the actions of those from our past." &#9679;	Theatr Clwyd (Flintshire) will be working with multi-sensory artist Ticky Lowe and theatre groups Company 55, a group for older people and its counterpart Company 25 for young people alongside Portfolio a group of talented young artists to produce a banner for PROCESSIONS Cardiff. &#9679;	Women's Arts Association (Cardiff) are creating a collaborative design created by local women in the community and women who are working with Oasis, a charity which supports women who are refugees or asylum seekers, helping them to establish themselves within the local community in Cardiff through supper clubs, language classes and cycling. &#9679;	Aberystwyth Arts Centre (Ceredigion), Mid Wales Arts Centre (Powys) and Ruthin Craft Centre (Denbighshire) will also be creating banners for the 10th of June.